Description: The cider is crafted from apples which originate from the Green Heart region. Moreover, most apples are from fruit grower A. Smorenburg from Montfoord and we gladly take advantage of his expertise when it comes to fruit. A well balanced selection of apples fit for making a cider is then manually processed into apple juice, which is directly fermented into a beautiful Dutch apple cider. Colour: The cider may vary from yellow to golden in colour. The reason being a slight variance in the generally minimal amount of yeast that ends up in the bottle. Smell: The cider has a fresh flavour of ripe apples. Taste: Considering this cider has a relatively low alcohol content it could be classified as a medium cider. This allows its fruitiness to come out better and gives rise to a well-balanced taste sensation. Aftertaste: The finish of this cider is typical: smooth and sweet. 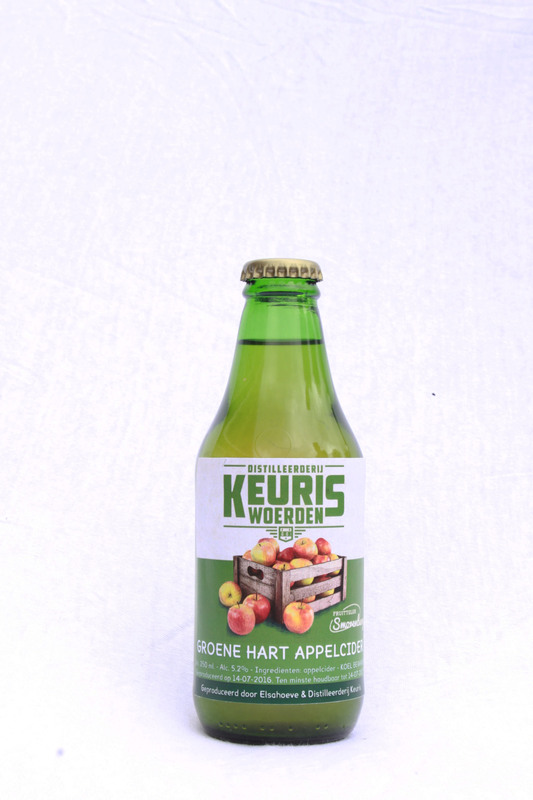 The freshness of ripe apples does remain for quite some time, which makes Keuris Cider a pleasure to drink.